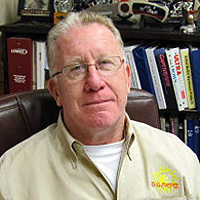 Joe Berger has been with D. G. Meyer Inc. for 32 years, since it was first incorporated in 1987. His experience in the construction industries began while he was still in his teens. This Green Bay, Wisconsin native (Go Pack!) moved to Florida in the early 1970s. He went back to his home state and after a decade of working in Heat/AC/Sheet Metal in Wisconsin, he moved back to Florida. During the 1980s, he went to work for Donald Meyer and their working relationship, as well as their friendship, continued for more than 30 years. Joe has more than 45 years of field experience in HVAC and metal working, and has been continually active in the corporation since its inception. 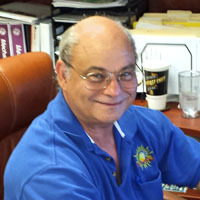 Steve holds a Florida State Certified Mechanical Contractor License, Florida Electrical License and has close to five decades experience in Residential and Commercial Air-Conditioning Systems. Along with his long experience, he is known to have a keen insight and ability to solve seemingly unsolvable problems. 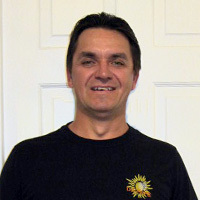 Steve was a founding member of the corporation and has been continually employed at D.G. Meyer since its beginnings. With nearly 35 years experience in HVAC, Dean is the company Commercial Supervisor, overseeing all commercial projects in progress. He began his career in the air conditioning field in 1987 in Hilton Head, South Carolina. Shortly after relocating to the Daytona Beach area in 1993, Dean went to work for D.G. Meyer, Inc. His hard work and dedication moved him quickly through the ranks, and finally to becoming a partner in the Corporation. As a Supervisor, Dean particularly enjoys working with the field associates. He views what others may see as problems as challenges to be met, and never backs down, no matter how big or small the obstacle may be. He likes the sense of accomplishment that comes from meeting and overcoming these challenges his job often presents. Dean holds a State Certified Mechanical License and a State Certified Sheet Metal License. He is also a certified Trainer on Counter Balance Forklifts, Scissor Lifts, Boom Lifts, Telescopic Handler, Powered Pallet Jacks and Skid Steer. Additionally, he has his certification in AutoCAD/AutoCAD LT.
Linda Longfritz— Corporate Treasurer and Operations Manager. 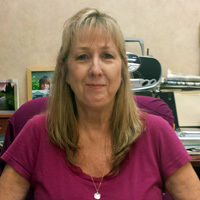 Linda’s experience in the HVAC industry began in 1977 when she was employed as a secretary for McBride’s Air Conditioning. She subsequently worked at an AC parts warehouse in Gainesville, FL and for D.W. Browning Company of Daytona Beach until that business was sold to Ferran Engineering. She stayed on with Ferran to assist with the business transition, then left to help her father, Donald Meyer, with the start-up of what would become D.G. Meyer Inc. After several years as a part time employee while her children were small, Linda came back as a full-time employee in 1993. She has worked in departments ranging from Commercial Construction to Service, and is presently a Partner, as well as the Operations Manager and Treasurer of the company. Linda’s two sons, now grown, are both also employed by D.G. Meyer, Inc. Outside of work, Linda is an ardent advocate for Animal Welfare. She has taken in a number of homeless animals over the years; provided food, medical assistance and spaying/neutering for even more. She loves both the furred and feathered, and maintains several bird feeders at the office in Daytona Beach. “Danny” has been with D.G.. Meyer Inc. for thirty years. He has a broad range of experience and education in his field, including classes at Carrier University in Syracuse NY, Trane College of Building Automation in Albuquerque New Mexico and Daikin University in Carrollton Texas. He also attended Honeywell training for certification of Niagara Ax program. Other experience includes Loytec Building Controls and Web Interfaces, and online study with Webfront in interfaces and Touch screens interfaces. He has attended over 200 hours of class room training in the field of Controls and building automation , and is responsible for sales, installation and service of same. This grandson of D.G. Meyer Founder Donald Meyer and son of company executive Linda Longfritz went to work part time at the company from 2003 to 2006 while he was in high school. He left to attend college in Jacksonville, FL. and after receiving an Associate in Arts (AA) Degree from the University of North Florida, Steven worked as a Customer Service Representative at Grainger Industrial Supply. He worked there from 2007 through 2012, at which time he returned to D.G. Meyer. Beginning as a field helper, he worked his way up in the company. He was Warehouse Manager for several years before moving into an office and his present position as a Project Manager. His projects include DSC Hospitality, Latitude Bar and Chill, and Port Orange City Annex to name a few. Steven is married to the very talented Megan, and they have a toddler daughter that keeps them both on the run. Bob attended school for HVAC and Refrigeration at Daytona State College (formerly Daytona Beach Community College), and went on to specialize in the area of environmental safety and comfort. He has been employed by D.G. Meyer for three years, with more than eleven years of experience in related industries. Bob’s duties at D.G. Meyer include, among others, coordinating between the Sales Representatives and the Installation crews on Residential, and some light Commercial projects. Chris was born and has lived his life in Volusia County. He has been part of this family owned and operated company for more than twenty years, and is one of the third generation now working at D.G. Meyer, Inc.
As a Sales Representative, Chris specializes in residential high efficiency replacement air conditioning and heating systems including multi-speed, solar and inverter technologies. His goal is to foster lifetime customer relationships and the highest level of customer satisfaction, while maintaining the reputation for reliable quality service that has been synonymous with the D.G. Meyer name into the future. Outside of work, Chris is active in the community and devoted to his family. He is married to Jenn Meyer and has a teenaged son. Along with other local activities, he is a member of the Preferred Business Group of Ormond Beach, a graduate of the Ormond Beach Chamber’s Leadership Seminar program. He is currently serving on the city of Ormond Beach Historic Landmark Preservation Board. Chris’ hobbies are woodworking, and doing home improvement projects with his lovely wife, Jenn. Like cousins, Christopher Meyer and Steven Longfritz, Brianna (or Bree as she is known to most of us) is part of the third generation now working at D.G. Meyer, Inc. She is daughter of company President Joseph Berger and Granddaughter to the company Founder, Donald Meyer. Before coming to work at D.G. Meyer Inc. late in 2015, Bree worked for Publix Super Markets, Inc. for twenty years. After some consideration, she decided to trade the long hours that retail management demanded in order to spend more time with her family. She is married to Aaron Toth, and mother of a very energetic six year old daughter, Peyton Jae. When she isn’t working, find Bree and family outdoors. They bike, run, swim and camp, among other things. Bree has been a surfer since her early teens and still fits it in whenever she can. Bree’s beloved Papa (Donald Meyer) had long hoped to get her to come to work at the company he established. He lived long enough to know that she was going to become part of the family business he was so very proud of. Before coming to work at D.G. Meyer two years ago, Kitty worked at Walgreens for 35 years in Human Resources and Employee Training. Answering phones and handlling all customer scheduling & issues with the highest level of customer service. Coordinating with distributers for parts orders, and processing all daily service & maintenance reports. Designating the daily dispatch routes for all in the field maintenance & service technicians. Connie came to work for D.G. Meyer in November 2014 after owning and operating her own Cleaning Business for twenty-two years. Originally from Maryland, she has lived in Florida for thirteen years and has two grown children.